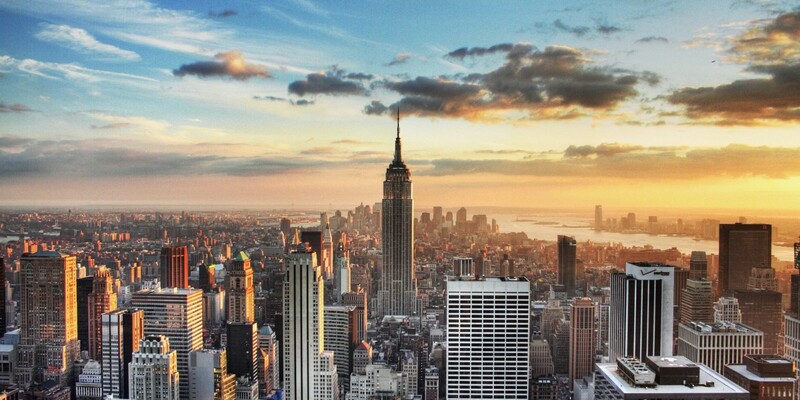 What should you do when you visit New York? I’m constantly asked what to do during a vacation in New York. Here’s a post I can email people when they ask. I’m constantly asked what to do during a vacation in New York. There are so many things to do here; when people start doing research they immediately get overwhelmed. Here are my general thoughts on the things I would recommend to anyone visiting the city for the first time. Sleep No More — Off-Broadway show, buy tickets online at (http://sleepnomorenyc.com/). Don’t read about it or you’ll ruin a lot of the fun. Do read a synopsis of Macbeth to refresh your memory though. I took my brother Grant here for his birthday and he loved it. It’s a really unique experience. Double Decker Bus Tour — There is an uptown and downtown loop. You ride an open-air bus with a tour guide. It takes about 3 hours to do each loop and cost about $50 total, but it’s worth it. It’s the easiest way to see the entire city efficiently. You’ll see all the different neighborhoods and a lot of the minor landmarks. Best to do this at the beginning of a trip to get a sense of the city. You can also hop on and hop off, there are buses every 15 min on the tour route. Especially if you are short on time this is a really great way to see everything at a cursory level and then you can focus your time on the parts you’re more interested in seeing. Central Park — You can walk the park pretty easily, starts at 59th street and goes to 110th. There is theatre in the park in the summer, but it’s really tough to get tickets. Times Square — It’s the ultimate tourist trap, but worth walking around and doing some people watching at least once. Don’t eat at the chain restaurants here. If you do, you’re wasting your time. TKTS booth for Broadway — Best place to get Broadway tickets is the TKTS booth; twice a day they sell heavily discounted tickets to shows on the way out. The shows are still good, they are just the ones that don’t sell out super fast or have been around for a long time. World Trade Center memorial — You have to reserve tickets online, takes maybe an hour to do, very powerful to see it in person. CitiBike — Bike sharing program in the city, I think it cost $12 for a 24-hour pass. You have to check the bikes back in every 30 minutes, but there are stations every 3–4 blocks. You can ride around most of the edge of the island on a really nice path. Staten Island ferry — If you don’t want to wait in a really long line to see the Statue of Libery, there is a nice ferry ride that you can cruise around on and see it from. They also serve cheap beer. If the weather is cool it can get really cold with the ocean spray, but on a hot day it’s a blast. Museums — The Met is fun, but huge. You could spend two solid days there and not see everything. The American Natural History Museum is really great; it has a ton of dinosaur bones that I always find interesting. All the public museums are technically free, the admission prices are recommended. There’s currently a lawsuit against them for how they portray the “suggested” part, people think it’s misleading and rips people off. Don’t feel bad about not paying, they have billion dollar endowments and don’t have to pay taxes. MoMa and The Guggenheim are private (not free), but still affordable. The Guggenheim’s entire collection rotates, so you should check online to see if what they are exhibiting is something you would be interested in. MoMa is modern art and the lines can get really long so plan accordingly. Top of the Rock — 30 Rock has a better view than the Empire State Building and a lot less of a line. The Studio tour is fun too; they let you walk around on the SNL set. Alternatively if you have your heart set on doing the Empire State Building, go really late at night. You can walk in at around midnight and not have to wait in line at all. Brunch — Brunch is definitely a New York thing, I’ll set something up with my friends. Almost every Saturday I meet my friends for bottomless Mimosas and Bloody Marries.